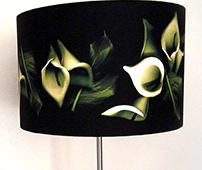 Stunning modern white lily with green leaf lampshade. Detailed image. Produced in England by the artist. Other Sizes available on this site. 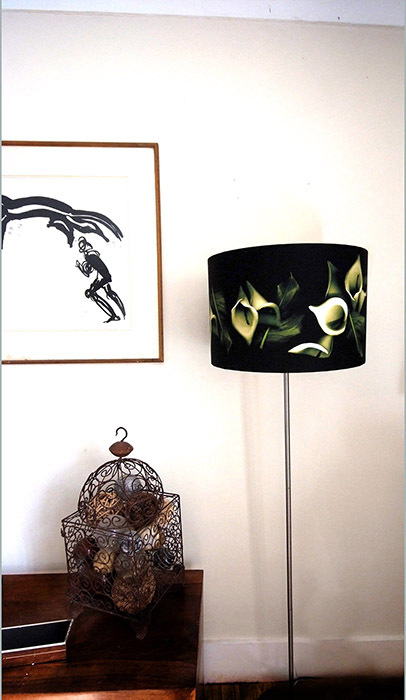 Coordinating print also available in sizes A3 £70.00, A1 £250.00 (limited edition). 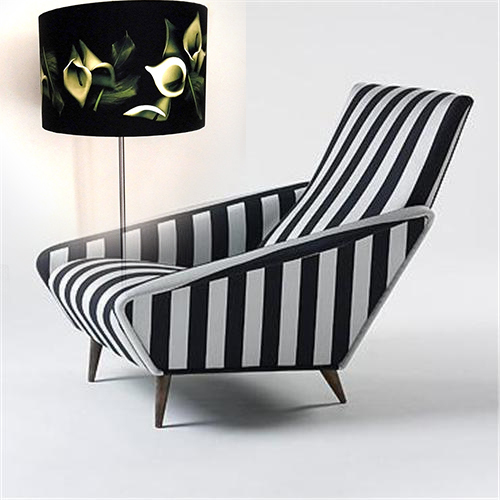 This is a wow factor or even an X-factor lamp. 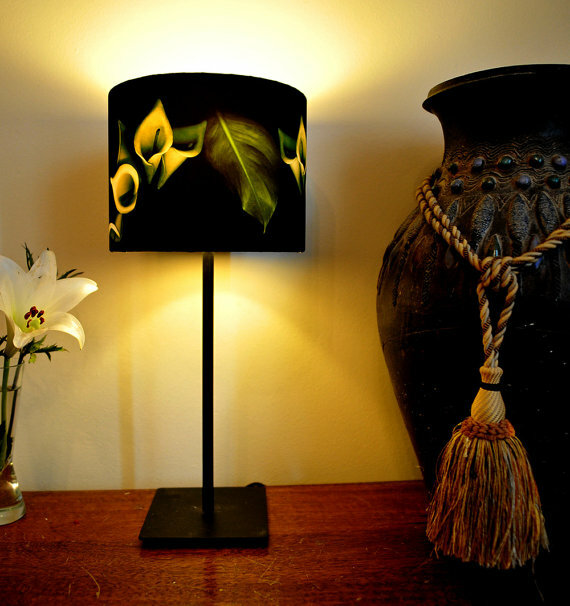 Bring life, beauty and nature into you home with this unique designer lampshade. Best seller from my shop.